Robert Mondavi Winery, located in Oakville in California’s famous Napa Valley, produces half a million cases of wine per year for distribution all over the world. Founded in 1966, the winery now works as a well-oiled machine, with acres of onsite vineyards, several floors of barrel rooms and fermentation tanks, its own laboratory and bottling facility, and extensive guest facilities and tasting rooms. 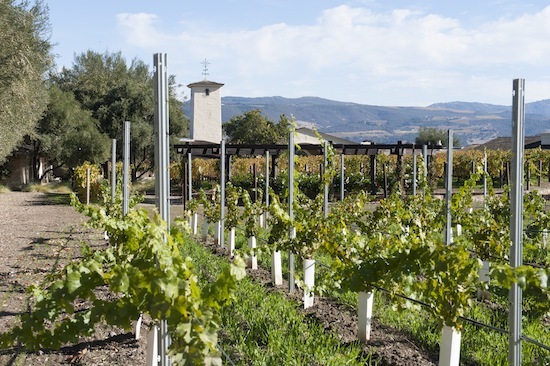 One does not often associate water treatment with wine, but effective water filtration is a key component of Mondavi’s wine production. NuWater USA, a water filtration company located in Concord, Calif., was hired to address Mondavi’s water concerns, which ranged from bigger issues, such as poor municipal water quality, scale clogging in the barrel room humidifier pipes and boilers, and chlorine in water used for barrel washing, to smaller problems, such as water spots on wine glasses. The company also addressed the winery’s requirements for ultrapure water in its onsite laboratory and potable water for tasting room guests. Water filtration in the wine industry is not a new concept. Any winemaker knows that even a minute amount of chlorine can wreak havoc on wine. 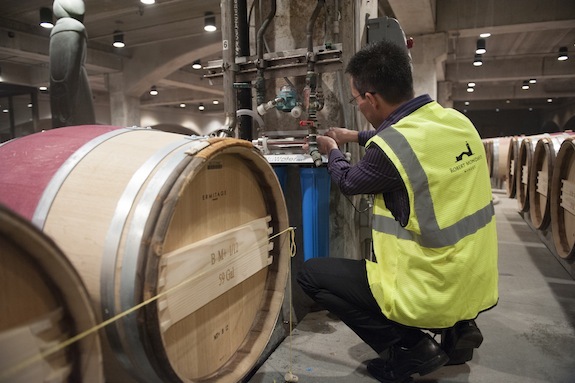 Normally, water would not readily come into contact with wine barrels, except at the end of each harvest season, when wineries clean their barrels to prepare for the next year’s crop. 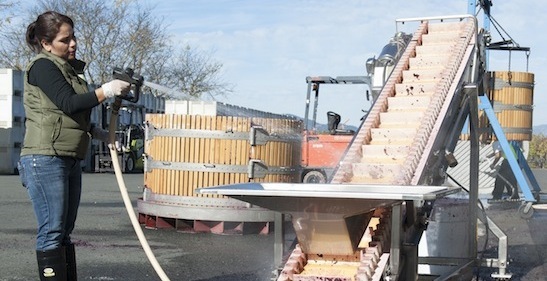 When one barrel of wine represents $30,000 or more in revenue, sanitization becomes critically important, especially given the porous nature of oak and its susceptibility to chemical retention. To address these challenges, NuWater installed four 12-by-52-in. tanks filled with activated carbon at each barrel-washing station to remove and destroy residual disinfectants such as chlorine and chloramines from the winery’s water supply, rendering it safe for cleaning the barrels. Mondavi has its own onsite laboratory, important for wine analysis and quality control. For this, NuWater supplied mineral-free water with a specific resistance of at least 18 megohms. A mixed bed deionization (DI) tank contains Indion’s MB 12 60/40 mixture of cation and anion resin. The majority of dissolved impurities in modern water supplies are ions such as calcium, sodium and chlorides. The DI process removes ions from water via ion exchange. Positively charged ions (cations) and negatively charged ions (anions) are exchanged for hydrogen and hydroxyl ions, respectively, due to the resin’s greater affinity for other ions. While chlorine-free barrel-washing tanks and DI for ultrapure lab water may not necessarily be novel processes for a winery, Jari Singletary, director of operations for Mondavi, presented NuWater with a new problem in the fall of 2011: The humidifying misters in the barrel room were routinely clogging, requiring time-consuming, costly maintenance. Singletary wondered if there was another way to keep his wine barrels humid — which is necessary to prevent the wine from evaporating — without having to address the constant problem of clogged pipe. NuWater quickly discovered that an abundance of silica, calcium and magnesium in the winery’s water supply was leading to scaling and buildup within the pipe. The problem was so bad that Mondavi had to change the mister heads every three months. 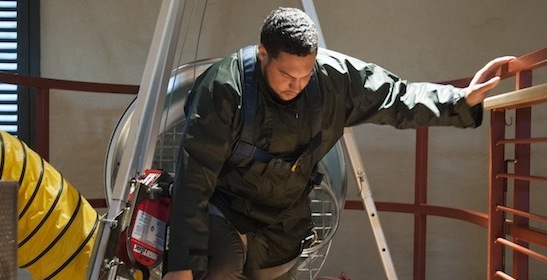 NuWater installed a small, discrete silica removal system that has efficiently solved the problem — Singletary speculates that he may never have to change the mister heads again. In the process of installing the silica removal system, NuWater was able to solve another common problem: The need for constant humidity in the barrel room can often lead to buildup of bacteria or mold. The company added ultraviolet disinfection to the silica removal system, ensuring a clean and safe environment in the barrel room. 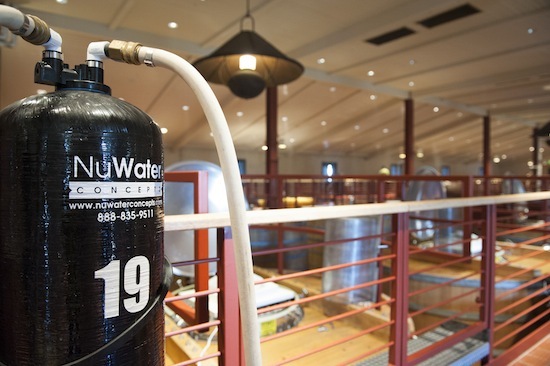 NuWater has since brought this spirit of innovation to other areas in the winery. Instead of serving bottled water to guests in the tasting room, Mondavi now offers filtered water from a countertop system that is specially designed to balance the pH of the inherently acidic wine. An added benefit is the elimination of plastic bottle waste. 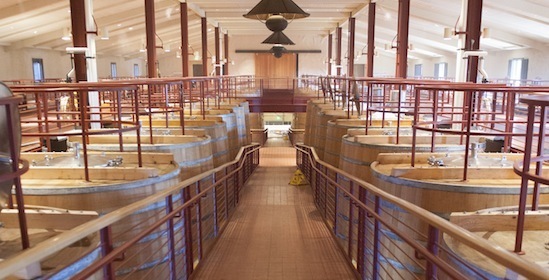 Naturally, the water problems that Mondavi faced plague all wineries, regardless of location. NuWater has identified common contaminants in the Oakville water supply, such as arsenic, iron, manganese and silica, that it addresses with a large point-of-entry system. The technical advantages of the company’s ASM arsenic media allow it to remove both species of arsenic (+5 and +3) from waters containing elevated pH and high concentrations of competing contaminants, such as silica. While this knowledge can be applied to many wineries in the Oakville area, the company always approaches each winery on a case-by-case basis. Meredith Flynn is director of marketing for NuWater USA. Flynn can be reached at [email protected] or 415.464.1909.